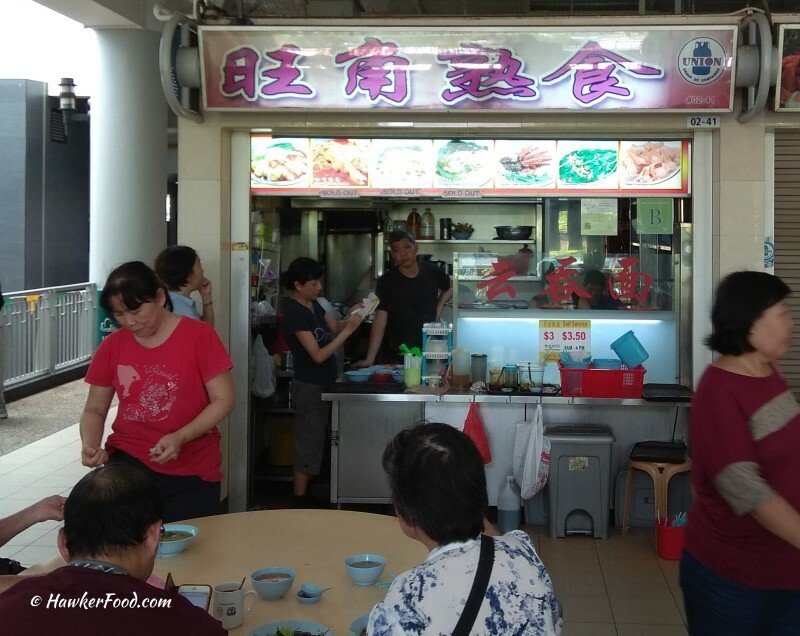 Older generation folks having their wanton mee fix near Wang Jiao Cooked Food stall in Hainanese Village Food Centre is a pretty common sight. One fine day, I finally felt old enough :p to give it a try on a hot weekday afternoon. 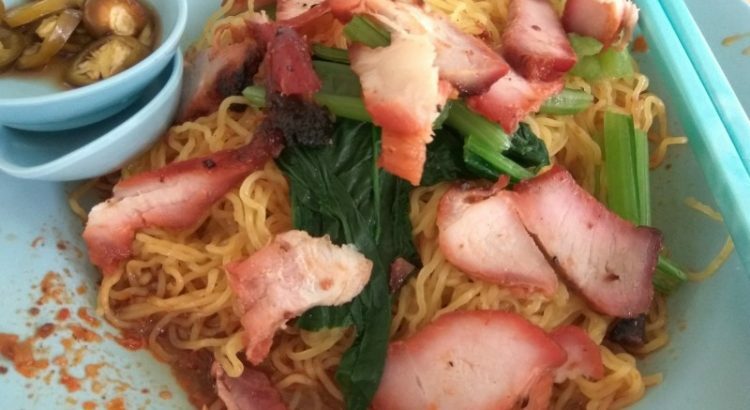 Their menu basically tells patrons that only wanton noodle, chicken feet noodle, vegetables with oyster sauce and deep fried wanton are available. The other three “sold out” items seem to be perpetually unavailable based on the number of times I have passed by this stall. Seeing that there is no queue, I proceeded to order wanton mee ($3.50) from the stall auntie who promptly told me that I probably have to wait for a while. That was when I turned around and noticed all the uncles and aunties seating at their tables looking in anticipation at the stall. “What’s your table number?? the auntie asked. That was when it dawned on me that this is not a self-service stall and I just simply pointed to a table that was next to me. I sat down and observed the stall auntie serving the customers one after another. 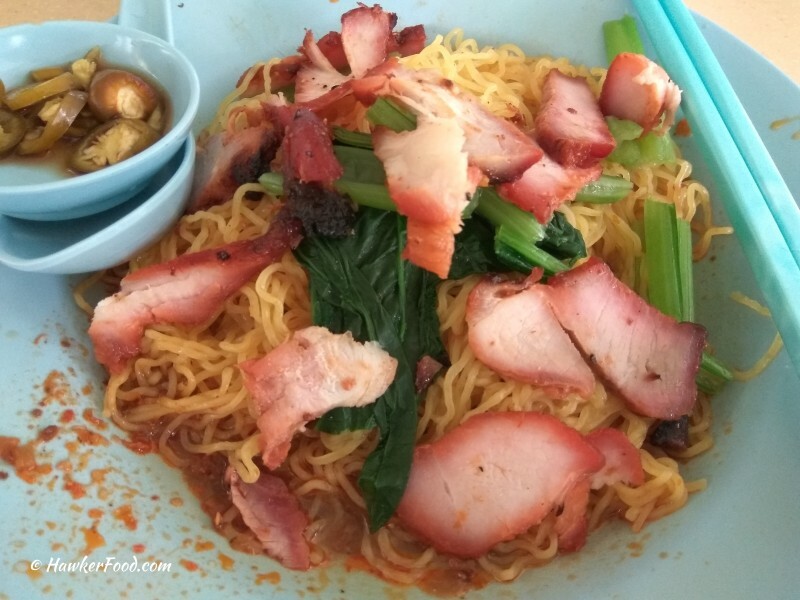 It is such a rarity for food to be served to you nowadays in a hawker centre setting and it is such a plus point for elderly customers who do not have to wait in line and struggle with the tray. The best thing is no tissue paper required to chope table during peak periods. After about ten minutes of wait, I received my wanton mee. The slices of char siew given were rather generous. The noodle was pretty springy to the bite and the sauce combined with the chilli packed a good salty-spicy punch. The sweet tasting char siew slices were chewy but tender. 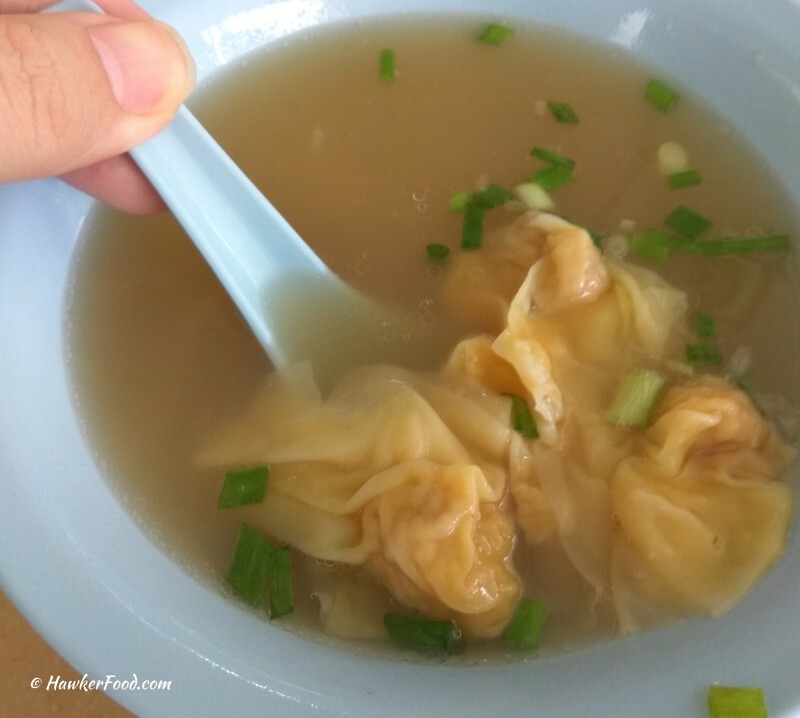 Soup was peppery and tasty with five meaty pork wantons that filled me up despite their tiny size. After my meal, I looked around and saw many patrons feasting on their chicken feet noodle. Well, that will be my agenda on my next visit. Very simple hawker fare at heartland prices with great service in the form of sending your food to your table. Do support them when you are around the vicinity.